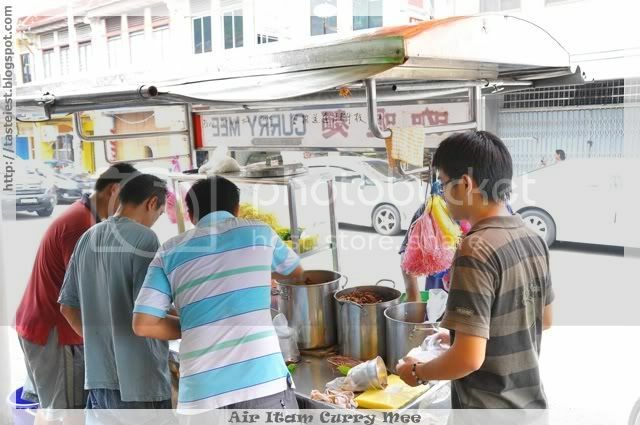 Air Itam Market Curry Mee located just before the famous Air Itam Laksa, business start from 1PM till finish which normally before 5PM. On road side but no stoping or parking because this area is crowded, you may turn into small road before this hawker and park inside. 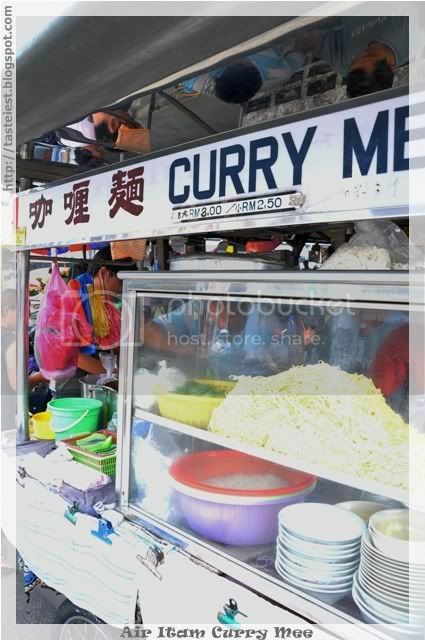 Curry Mee~RM2.50 was cook and served by few teenager, they are so efficient. Curry Mee serve just after we sit down for 2 minutes. Spicy curry soup with Mee and Bee Hun, mint leave was added to enrish it flavor. This curry mee come with pig blood, taupok, and cuttlefish. 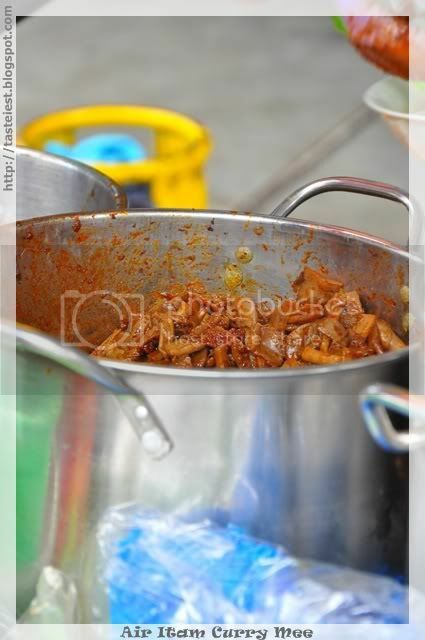 We add extra cuttlefish(+RM1), because some Curry Mee stall use raw cuttlefish but this stall they marinated the cuttlefish with chili paste and it taste superb. The extra chili paste spice up the soup and making the curry look more reddish. 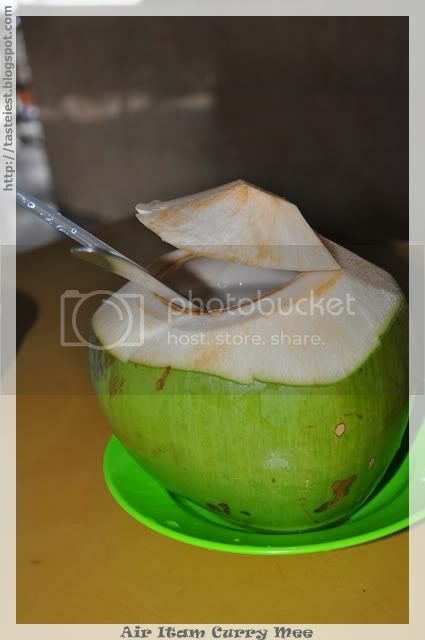 Ordered Fresh Coconut~RM3.50 and Cendol~Rm1.50 which operate by old Uncle and Aunty, we finish out Curry Mee but drink is yet to served and Fresh Coconut was quite expensive compare to other Kopitiam. 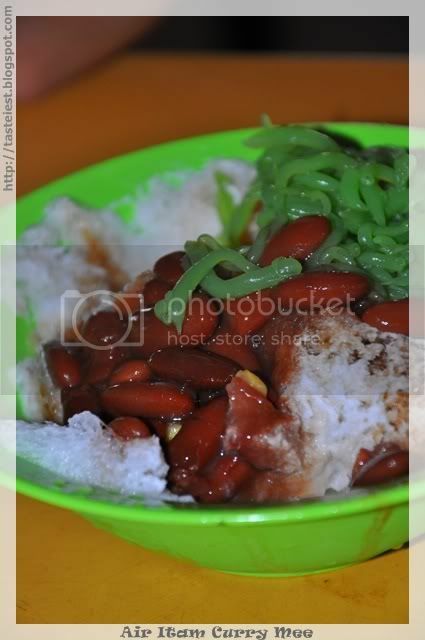 Red Bean is soft and nice but the Chendol(Green Color) is freezing hard. 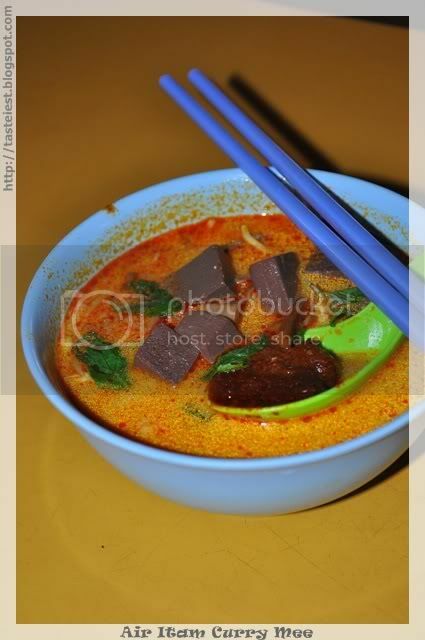 Rate only for the Curry Mee as the drink is normal.